Some of us may wonder why sometimes we fail to capture a ghost photo or an EVP event although we are at a highly haunted location. Conducting a ghost investigation is very simple, yet it is not necessary for us to meet with success if we don’t follow some standards and protocols, or sometimes we may follow the standards and protocols but still fail to be successful due to some reasons. The best times for ghost hunting. However, in this article I will only discuss one of the high standards the IGHS teaches which is, the best time to conduct ghost hunting. Understanding the best time to conduct ghost hunting is the basic key to achieving success. Therefore, the IGHS teaches that during the full moon, new moon and two or three days of either side of the full and new moon, during the geomagnetic storm and during the electrical storm, are the best times for ghost hunting. However, we must not forget that there are other standards and protocols that go with this best time for ghost hunting. Therefore, I would like to emphasize that respect for the dead is mandatory when we are going to conduct such an investigation. One may ask, do the spirit of the dead show respect towards the living if we show respect towards them? I believe that we are connected spiritually with universal love and love in nature is kind and gentle that creates warm relationships and harmony to those around us. Therefore, when we show kindness and respect that comes from the bottom of our inner soul, that energy would touch the hearts of others that in turn will respond accordingly to the energy that they have received. In fact, in my recent cemetery-1 hour solo investigation, I managed to prove that the spirits of dead do respond positively according to how we respect them. Thanks to the IGHS for their CEVP course that had enabled me not only to capture great EVPs but also understand the spirit’s psychological state through their speech when applying the reverse speech. In this investigation mentioned, I have captured an EVP through the camera video and also the voice recorder saying “Hello”. However, when the reverse speech was applied, the spirit’s subconscious said “Who are you ?”, here again proving that even though the particular spirit didn’t know me but the fact the spirit had the courtesy to say “Hello”. This proves that spirits retained their human qualities and responded positively how we respect them personally. Therefore, I believe that the basic human nature that acts as a kind of attraction is respect for others that is not judgemental. How does the best times ghost hunting give impact on paranormal investigations. 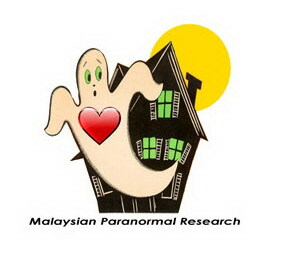 Back to the best time for ghost hunting, it is proven through the IGHS teaching about the best time to document the existence of the spirits of the dead. In fact, I have experienced conducting an investigation during the solar X – Class Flares coupled with geomagnetic storm and thunder storm that are related to electrical discharges where I managed to capture 16 EVPs in 30 minutes within the house. In fact, I realise that the theory regarding the amount of energy that maybe opens the barrier between the physical world and the parallel world during the time mentioned have been proven through the EVP recording. Hence, from the investigation mentioned, there are EVPs captured which are very loud, yet the voices are distorted as though the voice is disturbed with some kind of barrier. 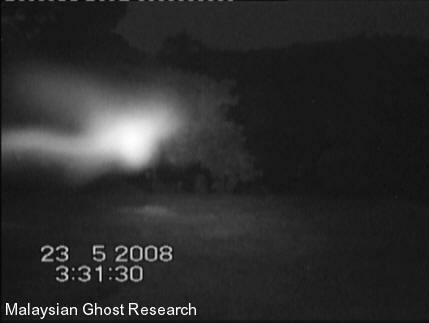 Therefore, I believe should these EVPs convert into a picture definitely it will show up an apparition that is not fully formed that explains the nature of the event itself. In fact, I realise the documentation on the spirits existence through EVP which has given us another way to understand the reality of the life after life, especially the subject that the spirits may says that holds their psychological state. Finally, to meet with great success in paranormal investigations needs high standards of knowledge such as the one which the IGHS have invented. A high standard of knowledge is very important not only to understand but also to evaluate the paranormal nature which in turn will help us to grow spiritually.